Join us for a fascinating conversation with The City of Maricopa Economic Development Team. Mayor Christian Price, Denyse Airheart and Mary Wolf-Francis share stories about the city’s rich history, current state of affairs, their unique community and exciting plans for the future. Mayor Price is an enormous advocate of networking – meeting new people and establishing relationships with citizens, stakeholders, regional partners, members of neighboring cities, and other government officials. He strongly believes that good working relationships with these groups and individuals will help Maricopa become a strong well-rounded regional player and directly influence the quality of life of the citizens through an enhanced economic development climate. For more than 13 years, Mayor Price has been an entrepreneur and small business owner. He is the managing partner of Pantheon Investments, LLC/NPC, a financial advisory firm. A graduate of Northern Arizona University, he holds a Bachelor of the Arts degree in English literature. Mayor Price has also had the privilege of working as a legislative analyst for the Arizona State House of Representatives and has first-hand knowledge of legislative processes and procedures. His family hails from northwest Tucson and he is an Eagle Scout who is fluent in Spanish. As a member of the Maricopa City Council, Mayor Price has a strong desire to work closely with fellow Council members and City staff to find the most economic and efficient solutions to help Maricopa grow and prosper. Denyse Airheart joined the City of Maricopa in August 2013. Ms. Airheart received her bachelor’s degree from California State University Fullerton and holds a Master’s in Business Administration. Denyse has more than ten years of experience in business development talent acquisition. She joined the City of Maricopa in 2013 to move the community forward to achieve growth in retail, commercial and industrial base economies. 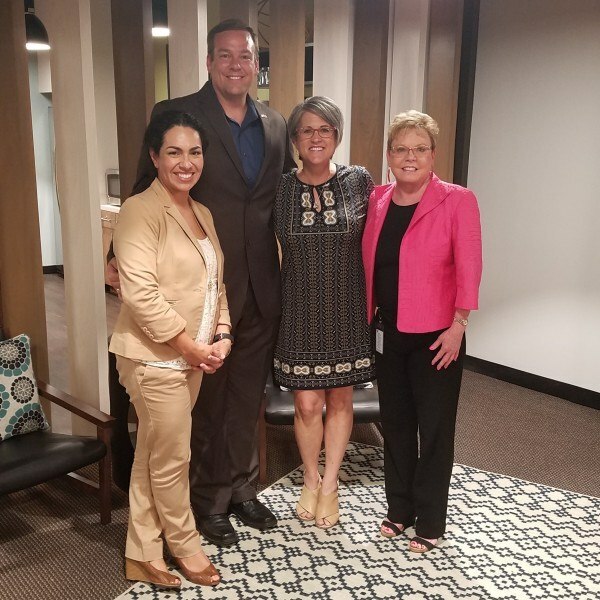 Ms. Airheart manages a number of noteworthy tasks such as marketing the community to retailers and employers, the business retention and expansion program, shop local and the Maricopa Advocate Program. 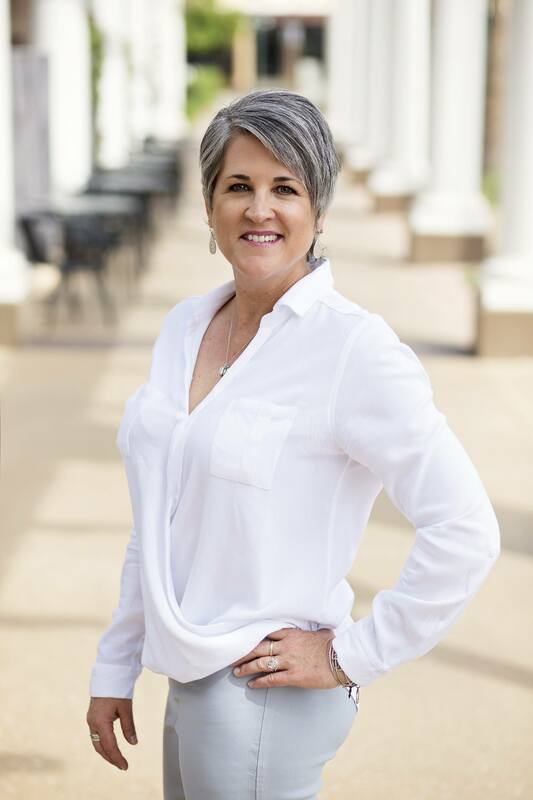 Denyse takes pride in serving as a liaison to the business community, citizen committees, non-profit organizations, special interest groups and neighborhoods by proactively providing information specific to the City’s economic development department. Ms. Airheart has also completed coursework for designation as a Certified Economic Developer through the International Economic Development Council. She is a member of the International Economic Development Council, the Arizona Association of Economic Development, and the Urban Land Institute. She has served as an Ex-Officio Board Member of the Maricopa Chamber of Commerce since 2015 and as the Greater Phoenix Economic Council’s Economic Development Directors Team since 2015. Ms. Airheart is passionate about public service and is honored to serve Maricopa. She is married to her husband Steve and they have two children, Emery and Nolan. Mary Wolf-Francis has 25 years professional experience building public private partnerships in the education, workforce and economic development arena at the local, state and national levels. With a Master’s Degree in Educational Leadership from Northern Arizona University and a Master’s Degree in Organizational Management from the University of Phoenix she seamlessly leads private and public sector entities toward common goals such as the creation of a YOB (Your Own Business) Fair™ and the Arizona Energy Consortium. As a Business Liaison for the City of Phoenix she kept her finger on the pulse of emerging industries delivering industry intelligence to job seekers, tracking our local talent pool, identifying key training opportunities and working with hiring companies as our state emerged from the recession. In October of 2011 Mary transitioned to Community Liaison for DIRTT Environmental Solutions and was recently hired by the City of Maricopa as an economic development specialist. The Phoenix Business Journal named Ms. Wolf-Francis one of the top 25 women business leaders in January of 2012. The City of Maricopa is a community with a “Proud History and Prosperous Future.” Strategically located between Phoenix and Tucson in the high growth Sun Corridor, Maricopa is poised for continued success. Maricopa became Arizona’s 88th municipality when it incorporated in October of 2003. Since that time, it has been Arizona’s fastest growing community, transforming almost overnight from a quiet town of under 5,000 residents to a bustling city of more than 50,000. Historically an agricultural community, Maricopa is emerging as a regional hotbed for the agritech industry. Maricopa is home to a thriving cluster of local agritech businesses and research facilities, including the USDA Arid-Land Agricultural Research Center and the University of Arizona Maricopa Agricultural Center. Researchers at these centers are working to develop new technologies and solutions to problems faced by crop consumers and producers. Partnerships with the private sector have led to the commercialization of innovative agricultural products and have helped launch a number of agritech startups. Leaders in the renewable energy arena have also been drawn to Maricopa. Pinal Energy opened Arizona’s first ethanol plant in Maricopa. In the automotive industry Maricopa is helping to pave the way in vehicle research and development. Both Volkswagen and Nissan located their North American proving grounds in Maricopa, where they put vehicles to the test under extreme heat and sun conditions. A number of exciting projects have recently been completed in Maricopa, including the opening of Central Arizona College’s Maricopa Campus, a new City Hall and Police Administration building, the 98-acre Copper Sky Multigenerational/Aquatics Center and Regional Park and the newest commercial development, Maricopa Station. Maricopa is a growing community that offers residents and businesses the experience of a small-town, rural atmosphere, tremendous quality of life, proximity to Phoenix and Tucson, and convenient access to major markets throughout the Southwest.